Discount Butterfly Express Essential Oils-up to 30% off: 40 Uses For My Top 4 Favorite Oils! Pin this chart for future reference! 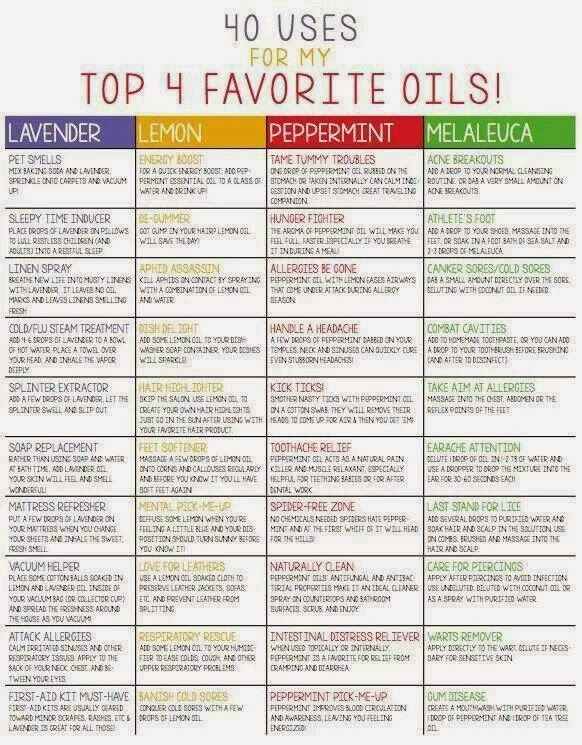 40 Uses For My Top 4 Favorite Oils! Pin this chart for future reference!